This document was created by an exchange student during an internship at Ansco. 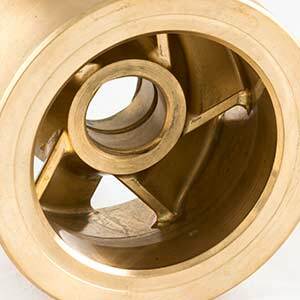 Their specialty is in high end specification machining and turning of a variety of materials. 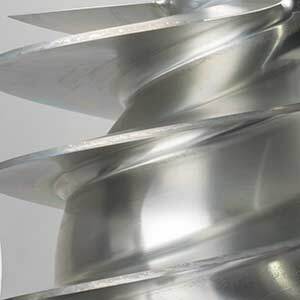 These processes are undertaken via a series of sophisticated, electronically-programmed Mills and Lathes, which is known as Computer Numerical Control (CNC). The business built over many years, now prides itself on having some of the world’s leading hydraulics, automation and engineering companies as their clients. “Our customers place orders with us, in the knowledge that their order will ship on-time and the parts will be produced with quality and precision”. Above all, this extremely well-run contract machine shop has built a culture of professionalism and quality. They work with both large and small lots in a wide variety of materials. “We like to take on board bigger projects. 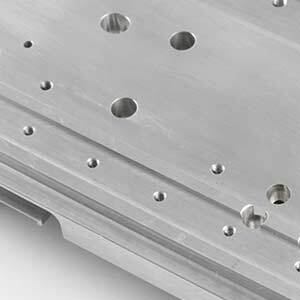 Sometimes, to test if we can physically create a part, we can often suggest cost saving material or methods to find the most suitable course of production for our customers. If we can then it’s another area of business to add to the list and other product we’ve learnt to make” I feel this perfectly sums up the shared attitude of ANSCO, the idea of pushing boundaries, always expanding and overcoming obstacles. The following report is not an interpretation of a belief but my first-hand experience, as a young person and guest of ANSCO. I was extremely fortunate to have been offered an opportunity to gain work experience at ANSCO. As I had such little knowledge or experience working in this environment or in engineering in general, I had my hesitations and anxieties, however nearly all my fears were allayed on the very first day. Everyone I had the pleasure of working with were all eager to teach me about their roles, from the larger target of customer satisfaction right down to the intricate workings of each machine. I was under the same stereotype as most people, however I now have a new-found and upmost respect for the factory and production industry. ANSCO is a unique, efficient and customer driven business, and as such all employees must possess such skills that allow them to work efficiently towards the central goal – Customer Satisfaction. Due to the diverse job roles available at ANSCO, there are a number of common skills required, I found one of these being communication. As the factory is a large entity, interaction with other work colleagues and members of staff is a crucial and essential part of day to day life. Everyone is expected to clearly communicate updates to their work scheduling, report maintenance requests if a machine isn’t functioning correctly and to constantly alert the qualities department to check that the current project is within its’ acceptable quality standards. To insert this into context, when a machine receives a change of staff, it is important that these two staff members exchange information regarding the current status of the machine and the project it is working on. As such, maintenance is carried out as efficiently as possible allowing the order to be fulfilled within it’s deadline. Instinctively, communication skills are paired with the ability to work well in a team environment. ANSCO depends on team work to maintain its high efficiency rate and respects anyone who uses this and communication to better the company and themselves. New employees are given full training and support in the use of all the companies machinery array, including CNC Machines, Lathes, Mills, Electronic Testing Machinery, Hardness Testing equipment to name a few. It is important to note that ANSCO specialize in technical operations that not many have ever encountered before. It is natural therefore, that employees undertake training in these areas which allows the learning curve to be rapid, with senior members of staff always on hand to train, aid and thus build a thorough understanding of such equipment and processes. The functions of the more complex machines rely on computer coding that may need to be handwritten for new or complex designs, therefore an educational background of computer programming is welcomed. Designs can be received through computerized two-dimensional drawings, which then need to be created into three-dimensional models, thus the requirement of an educational background in graphic design is a great attribute. These three-dimensional drawings are then placed through a simulation to refine and erase any problems in preparation for the physical event. As almost every component part that is machined within ANSCO requires pinpoint precision, it is essential to understand that there is a level of mathematics used on a daily basis, mainly in the calibration of equipment and machinery to establish boundaries of acceptable quality. The application of such will of course be taught and only aid a prospective employee’s progression through the company. Alongside this progression, effort, dedication, increasing knowledge and role capability will continually open opportunities to progress within the company. Due to an outdated misrepresentation of the Engineering and Factory/Production Industry, it would appear that young people in modern society are showing an increasing disinterest in this area. Factory and production work can be stereotyped as “old fashioned”, “difficult manual labor” and “personally economically unsustainable”. This is simply not the case and in my personal experience, far from the truth. With the use of modern technology and modern working practices and a motivated workforce, I feel that ANSCO is a perfect example of this exciting revolution in engineering. Being a quality centered company, ANSCO take materials from raw stock right through to the finished part with coatings, heat treating, anodizing, required certification and inspections, light assembly, packaging, labeling and finally a timely delivery. With some confidence I believe that ANSCO offers many opportunities for young people to take their academic achievements and to deploy them into a challenging but rewarding environment. In turn that will help them to develop communication and interpersonal skills to a higher level, where they will undoubtedly become valuable assets to both the company and themselves, by recognizing and ultimately rewarded for their transferrable qualities. Gaining these experiences is a life skill and as confidence builds, further opportunities arise, whether with ANSCO or in pursuit of something different.